A radio staple during the holiday season, The Supremes performing My Favorite Things has become a tradition. Originally a track from The Sound of Music, this song has been a favorite for more than forty years. 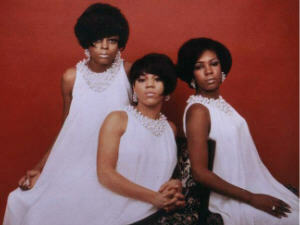 Diana Ross, Mary Wilson, and Florence Ballard certainly gave it a fitting rendition in 1966. As they performed the song on The Ed Sullivan Show, they were setting a precedent that led to many, many covers of movie soundtrack songs that fit in perfectly with their repertoire. The girls had never seemed more cohesive than they did during this time in their career. Halfway between their original ascension to stardom and the scandal that ended with Flo’s dismissal from the trio, they were thrilling audiences the world over and topping the Billboard Hot 100 on a regular basis. This was perhaps the most exciting time in The Supremes’ history and as this clip from Sullivan clearly shows they were enjoying their position at the apex of pop music with glee. This might be my favorite Supremes track that was not one of their hits. My Favorite Things is a nice title for a song that has become just that…Well, one of them anyway.